A sub adult tigress, T-83 who is well known as Lighting. 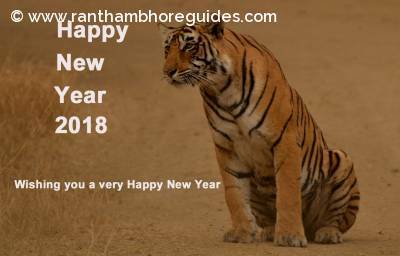 She is a daughter of the Queen of Ranthambhore Tiger Reserve. 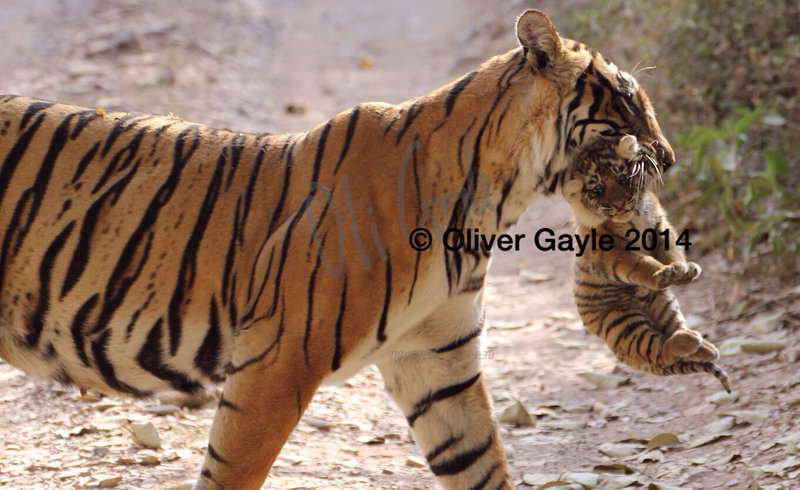 Her mother, Krishna/T-19 is the world famous tigress. 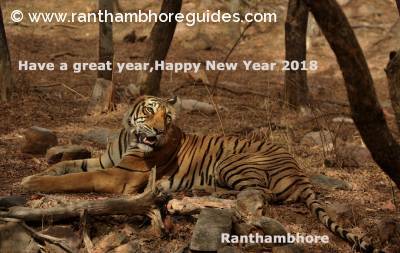 She is known as an icon of Ranthambhore Tiger Reserve. She gave birth to 4 cubs as her second litter in the year 2014. Later, unfortunately, she lost her one cub of them soon and only 3 cubs are survived. The tigress, Lighting is one of them. 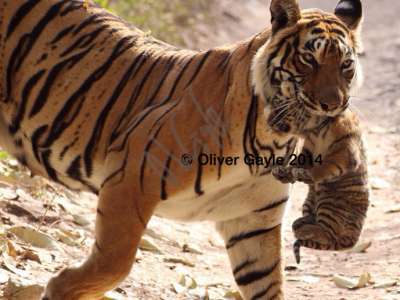 She was spotted the first time in the park while her mother was shifting her cubs by holding them in her mouth through her canine one by one by nature guide Ram Singh Meena with U K guest Oliver Gayle on Sunday 23 March 2014. That time she was about 2 and 3 months old. She was so tiny and not able to walk. She is one important member of Iconic family. She spent her childhood with mother, Krishna, sister (T-84) and brother (T-85) at zone no.2, 3 4 and 5. After became as a sub adult, she start to spend most of time at zone no. 3 and 4. Since the new session from 1st October, she has been spending her time at zone no.5 and a periphery area of the park that was occupied by Great Machhali(T-16) while her brother became T-85 that is known as Packman who moves in zone no. 2,3,4 and 4. Her sister is known as T-84 (Arrow-Head) who has settled down in zone no. 2, 3, 4 and 5. The park periphery areas where the hotels are located is preferred by the tigresses. 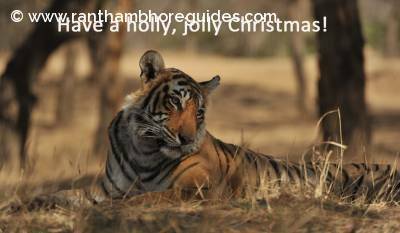 The great mother of Ranthambhore, tigress, Machhali, took her last breath in this area. Now days, Lighting is also reported so many times. 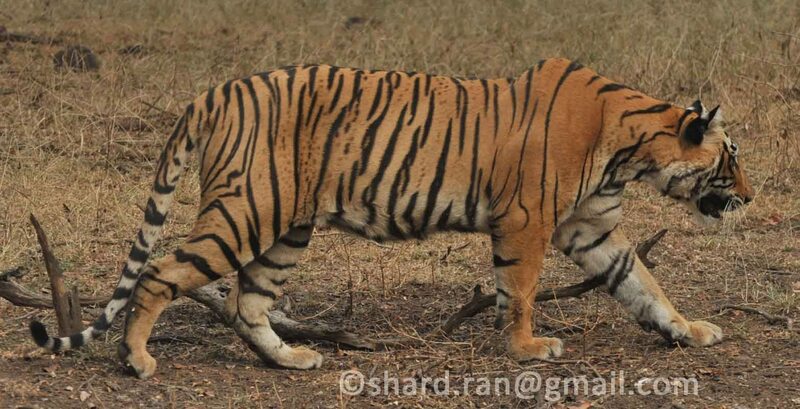 The movement of tigress is gradually increasing in that particular area. It’s really not a good sign. First time, Lighting was spotted outside the park near hotels on 19 October, 2016 when she killed a blue bull in the morning time. Second time, she came out from the park in the morning safari and stayed whole day at Hali-Paid and return the park in the evening on 8 Nov.2016. The 14 November 2016 was a horrible day for Lighting- She was found in a well in the early morning by local people. 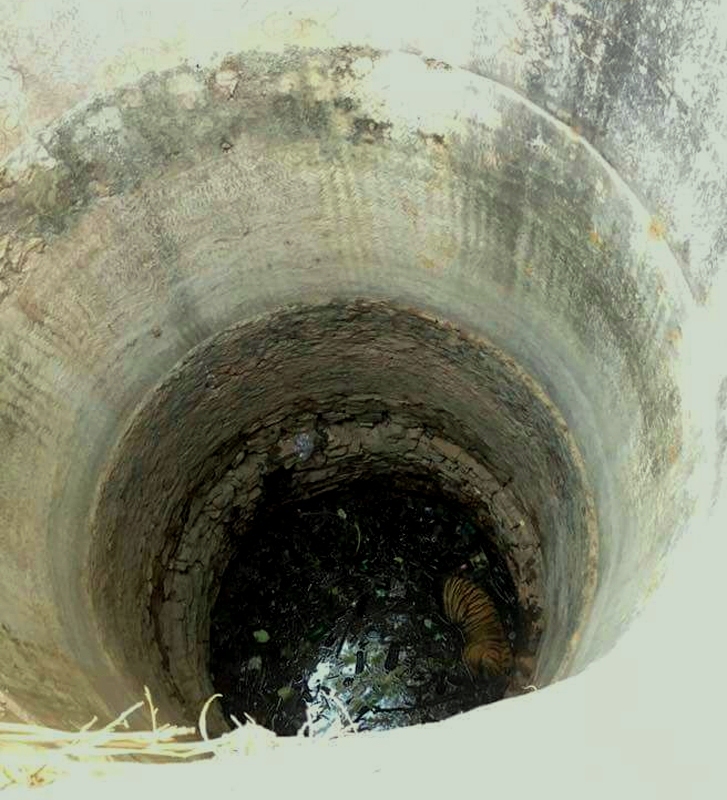 After successful rescue operation, she left in the park with help of local people and forest department. The increasing the movements of Lighting in one particular area raised so many questions at Hotels that are located in this area? We 5 are delighted seeing the' T83-lighting @ zone 5 around 5 pm post Diwali. Very well spotted by naturalist Sanjay Sharma and Bhanuji. High 5! Wow, we had such a great safari with guide Shard Sharma (and his driver). Beautiful surroundings in zone 3, Shard was great in helping us see and understand all the beauty. And on top of that - thanks to him - we were able to see Lighting in full!